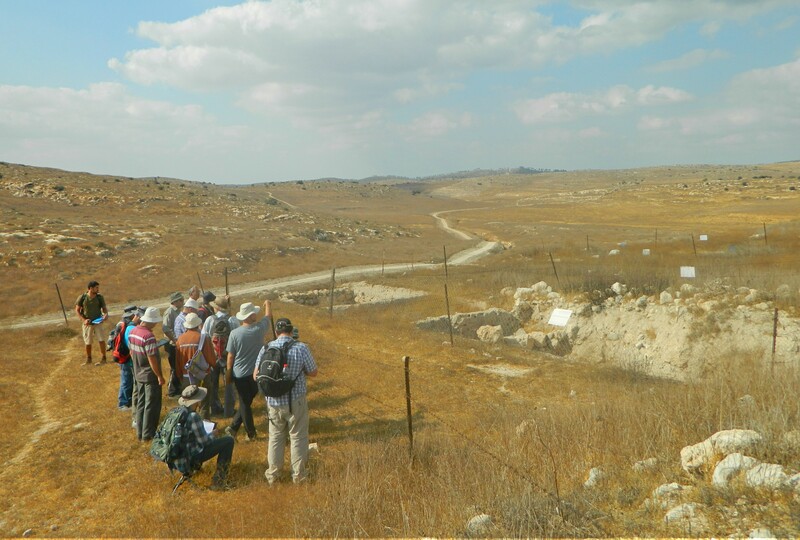 Returning to the series of academic trips provided by the Land of Israel Studies and Archaeology department of Bar Ilan University, I started off the new semester with a trip to Tel Lachish and Tel ‘Eton. Having heard so much about the findings at Tel Lachish in the past year or so, I was excited to at last see the site in person. The excitement regarding Tel ‘Eton was even more palpable due to the fact that I used to work at the Tel ‘Eton lab on-campus two years ago. We left the campus in the morning, picked up Prof Avraham Faust along the way, and headed to the first stop of the day: Tel Lachish. We approached from the north, already seeing the steep hillsides and the reconstructed gate area from the road. 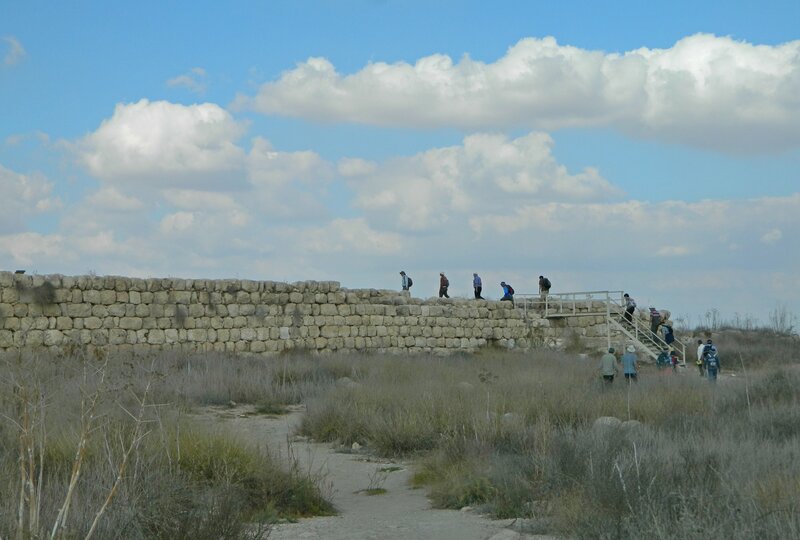 Disembarking, we stood beneath the gathering of pine trees beside the unfinished visitors centre and listened to Prof Faust’s overview of the Israelite cities during the Iron Age with an emphasis on Lachish. Characteristic of me, I quickly got distracted by the birds around me: perched stonechats, clattering jackdaws, and a trio of black kites wheeling about in the thermals above me. I took photos until it was time to scale the historic hill, by way of the ancient access road to the city gates. What’s interesting about the gatehouse is that it was strategically built in a right angle, to prevent enemy horsemen from riding straight into the city. Inside the ruins of the ancient city we began our counter-clockwise tour. Just to give a very brief history review of Lachish, the site was first settled in prehistoric times and then became a fortified city under the Canaanites in the Late Bronze era, some 3200 years ago. 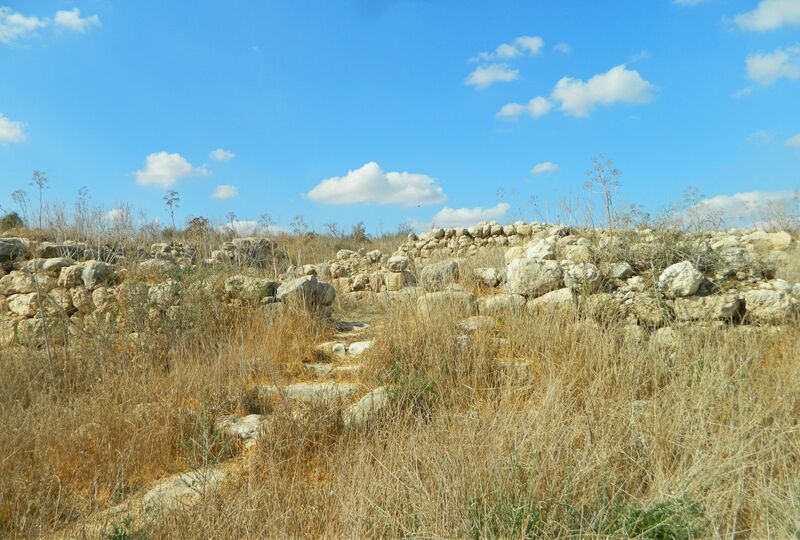 The fortified city was destroyed by the army of Joshua, as depicted in the Bible, and laid barren for several hundred years until it was rebuilt by King Rehavam, son of King Solomon, when it became the second most important Jewish city in Judea. Destruction came again, this time by the hands of the Assyrians, and the city was razed to the ground. Illustrations of the siege and conquest were found in the wall carvings of Nineveh, including a relief of Sennacherib himself sanctioning the destruction of the large city. A hundred or so years later Lachish fell again, this time to the Babylonians under Nebuchadnezzar. The city never returned to its former glory and was eventually abandoned during the Hellenistic period, never to be rebuilt. It wasn’t until the early 1900s that the tel was excavated, yet the work was abruptly stopped when the lead excavator, JL Starkey, was murdered by Arabs on his way to Jerusalem. 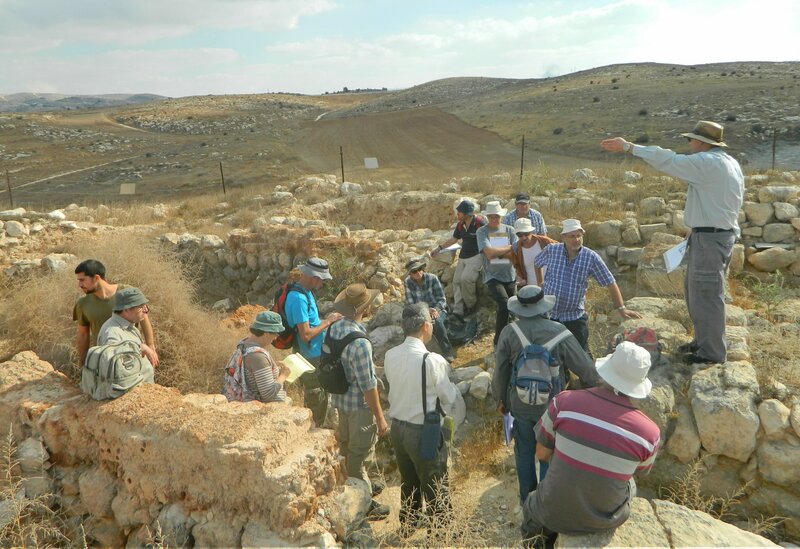 Most recently, Prof Yosef Garfinkel of Hebrew University has resumed excavations and the site is to be turned into a national park sometime in the near future. 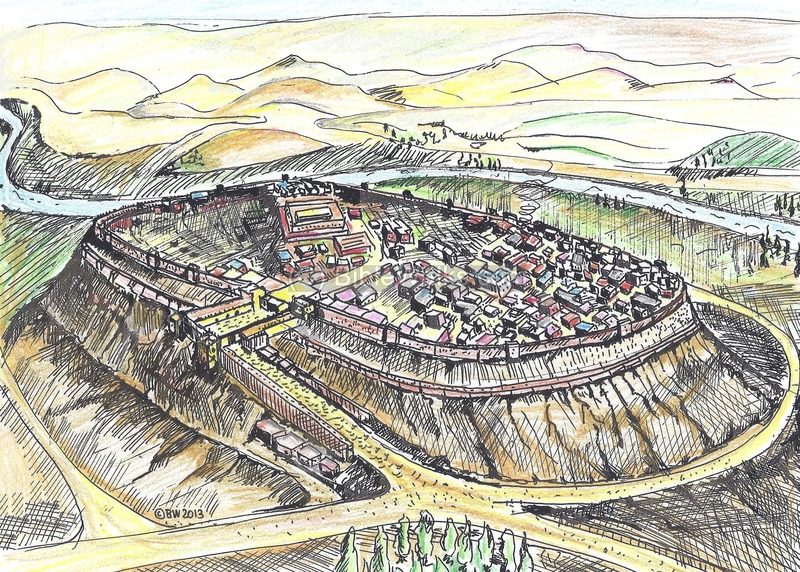 An illustration of Lachish during its years of prosperity can be seen HERE, drawn by the fine folks at Biblewalks. Returning to the tour, we headed for a the ruins of the most prominent building on the hilltop. However, the professor was sure to enlighten us that the tall rectangular structure was just the base for the building that stood upon it – a fortified palace. Perched upon the rounded ashlar walls were two crested larks, posing nicely as I creeped forward to take pictures. Up on the palace floor, we surveyed the area and had a funny run-in with a Polish tourist who complained that he didn’t have material about the site to read. When our professor informed him that there will be a visitors centre sometime in the near future, the straight-faced tourist proclaimed that he was joking. Awkward silence hung heavy in the air and the tourist melted away, allowing us to recuperate before moving on to the next point of interest on the tel. From the palace we descended to a nearby ruin, that of an ancient temple known as the the Solar Shrine. This peculiar name derives from the fact that the positioning of the doorway allows the rising sun to shine straight into the structure, flooding it with warming light. Moving onwards, we headed for the northern end of the tel, looking at a series of excavations. It was there that I spotted a male common kestrel apparently eating something that it hunted moments earlier. Just below the dig, we took a brief gander at the ancient well – a peculiar thing to find on a hilltop. We then took the long way back, along the eastern side of the tel, and boarded our bus. 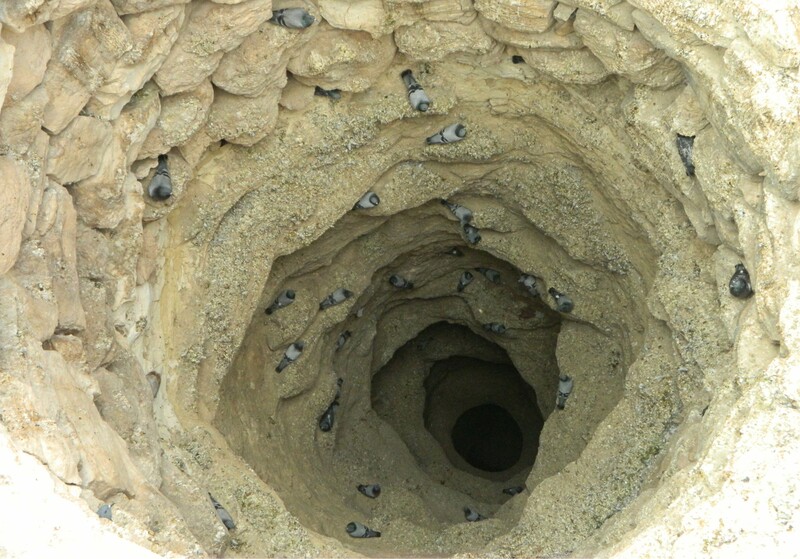 It was time to visit the next site, Tel ‘Eton, located some eleven kilometres to the southeast (as the crow flies). Driving along the security wall on Road 358, we turned onto an access road approaching the site. Getting out moments later we surveyed our surroundings, admiring the mustard yellow grass blanketing the ground as far as the eye can see. Mounting the hill on a scarcely visible trail, we clipped along at a good pace; I paused just briefly to photograph the pink flowers of a common leadwort bush. Atop the hill we made our way to the southernmost excavation site, Area A, and the professor began to educate us. 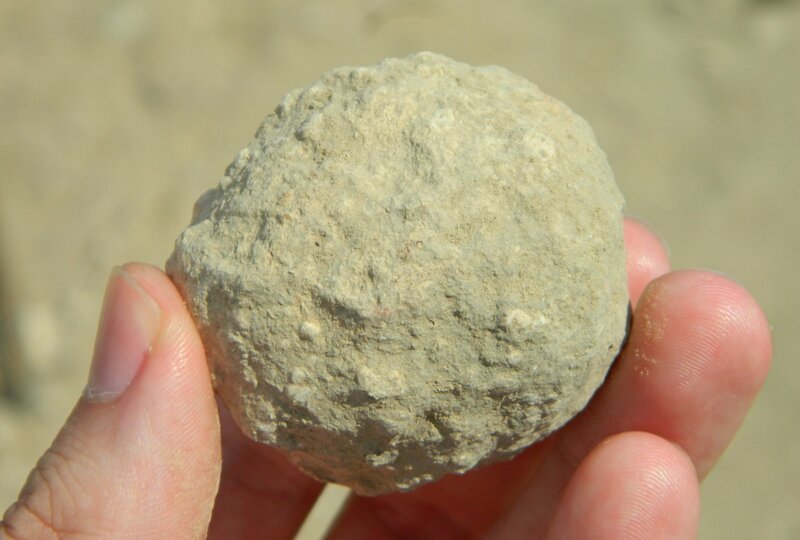 In summary, we were going to be shown a style of Judean construction that differs somewhat from that of its neighbour Lachish. 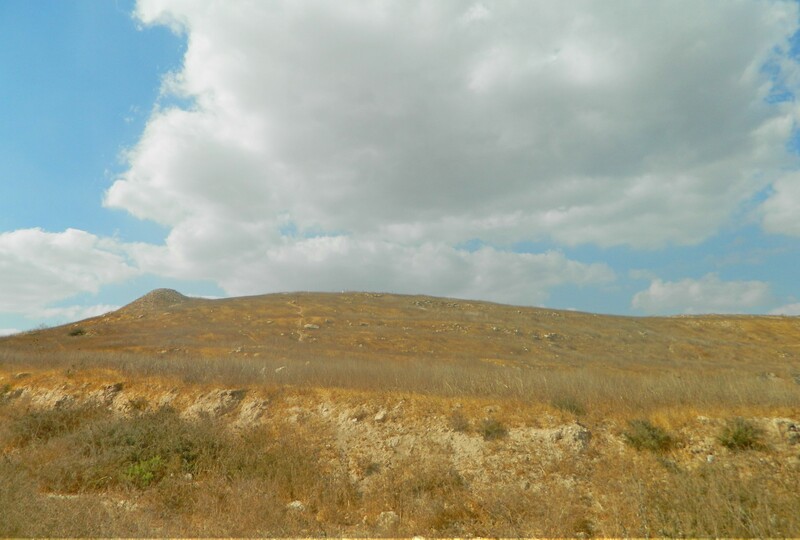 Most archaeologists associate Tel ‘Eton with the Canaanite city of Eglon which is mentioned in biblical records concerning battles between the Israelites and the local kingdoms. That being said, ‘Eton/Eglon was an important fortified city during the years of Israelite rule, the focus of Faust’s research. That came to an end with the Assyrian conquest, at which point in history archaeological evidence confirms the destruction of the city. The Persian period saw a rebirth of the city, but on a smaller scale, and was completely abandoned at the start of the Hellenistic period. 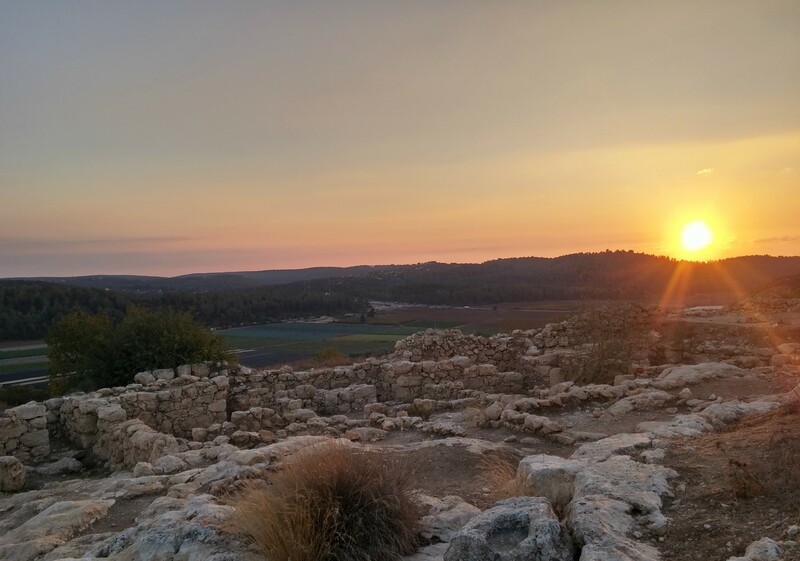 Other than agricultural improvements in the Byzantine times, Tel ‘Eton remains as it was over 2,000 years ago, convenient for excavations of a specific purpose such as Faust’s. 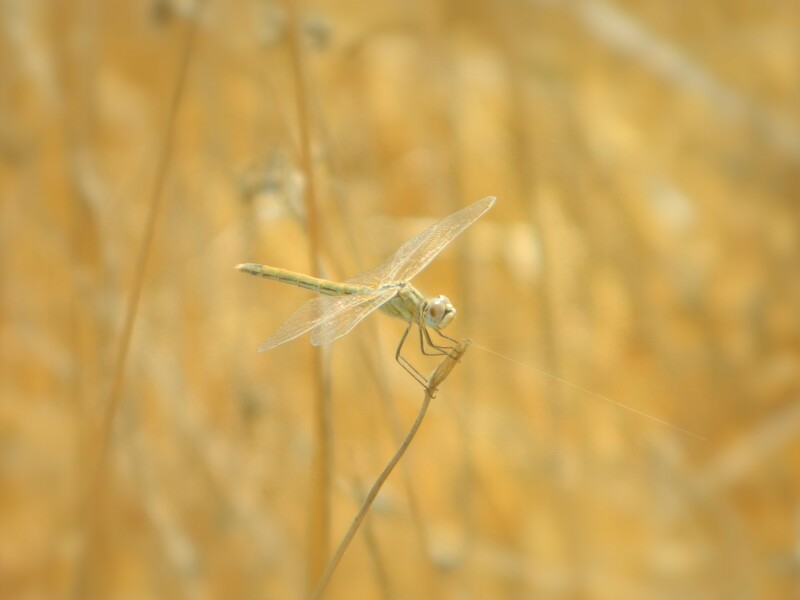 We walked over to the centre of the hilltop and examined other excavation areas, with minor distractions such as crested larks and dragonflies, as well as a lone porcupine quill. 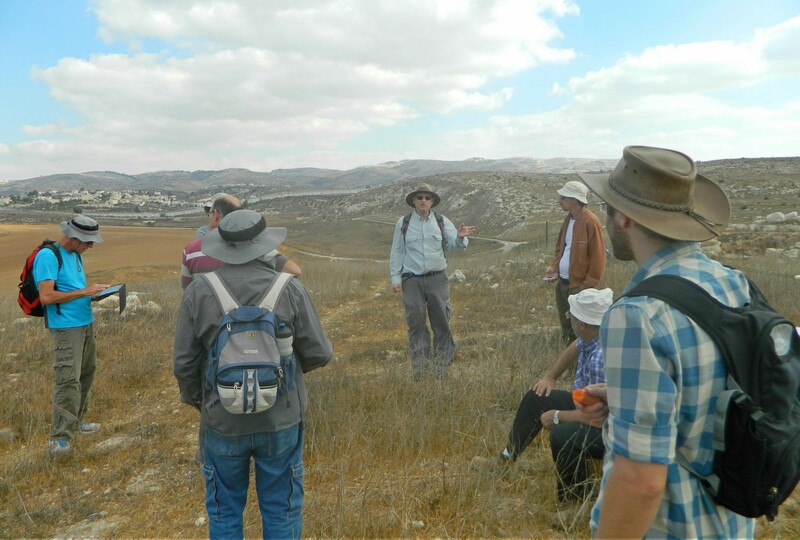 After pointing out the agricultural terraces to the west, the professor led us back to Area A where we gathered inside the excavated ruins. Perhaps the highlight of the dig, the ruins of none other than those of a “four-chambered house”, typical of Israelite architecture. A stellar example, with a clear layout and some well-cut ashlars, it is believed that this was the house of an important family, perhaps even that of a local governor. 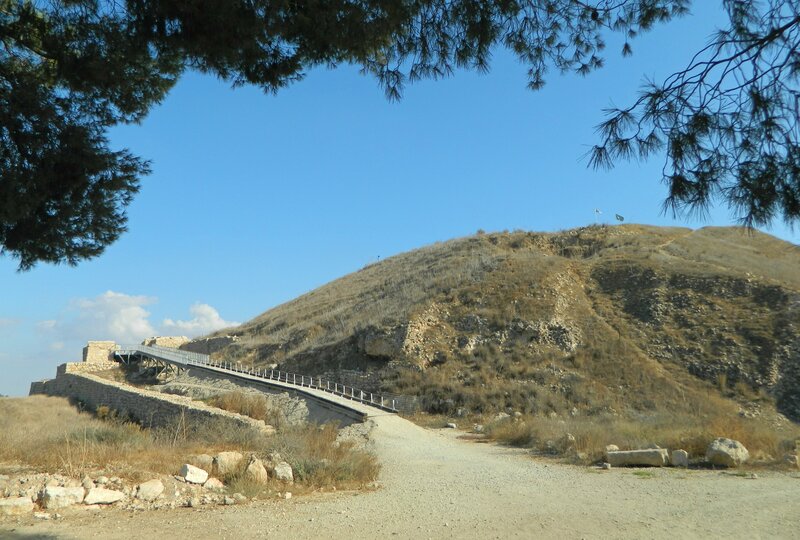 This structure helped create a parallel to the finds at other sites, including the aforementioned Tel Lachish. Finishing up, we headed back down the mustard-yellow hill, leaving me with a thought that it would be nice to dig at Tel ‘Eton sometime in the future, as it is one of BIU’s few active sites. Back in the bus we made our way to the last site of the trip, Khirbet Qeiyafa, which I have already written about twice before. We entered the magnificently walled city, one of my favourite Israelite sites, and briefly examined various architectural elements which helped complete the theme of the day’s lecture. 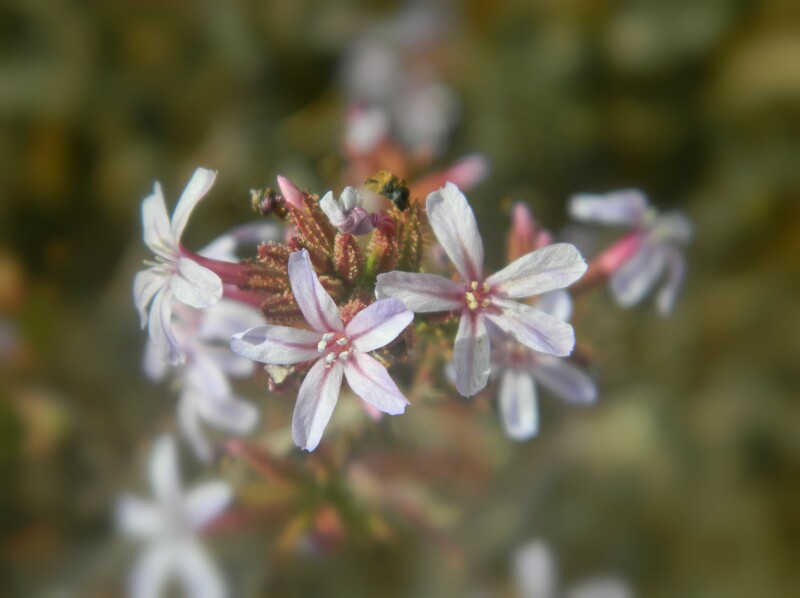 Because I have already been to Khirbet Qeiyafa twice before, I put a little extra focus on finding wildlife and I wasn’t disappointed. Highlights included elusive chukars, red blackstarts and a small herd of mountain gazelles making their way across the opposite hillside. The sun began to sink to the west, slowly at first but picking up speed rapidly, and before we knew it sunset was upon us. We prayed and then returned to our faithful bus to be returned to the university, bringing an end to a very long but delightful trip. A special thank you to the talented Rebecca Zami who has editing each and every blog post for the past four months!